384 pages | 225 B/W Illus. Instrumentation is central to the study of physiology and genetics in living organisms, especially at the molecular level. Numerous techniques have been developed to address this in various biological disciplines, creating a need to understand the physical principles involved in the operation of research instruments and the parameters required in using them. Introduction to Instrumentation in Life Sciences fills this need by addressing different aspects of tools that hold the keys to cutting-edge research and innovative applications, from basic techniques to advanced instrumentation. The text describes all topics so even beginners can easily understand the theoretical and practical aspects. Comprehensive chapters encompass well-defined methodology that describes the instruments and their corresponding applications in different scientific fields. The book covers optical and electron microscopy; micrometry, especially in microbial taxonomy; pH meters and oxygen electrodes; chromatography for separation and purification of products from complex mixtures; spectroscopic and spectrophotometric techniques to determine structure and function of biomolecules; preparative and analytical centrifugation; electrophoretic techniques; x-ray microanalysis including crystallography; applications of radioactivity, including autoradiography and radioimmunoassays; and fermentation technology and subsequent separation of products of interest. The book is designed to serve a wide range of students and researchers in diversified fields of life sciences: pharmacy, biotechnology, microbiology, biochemistry, and environmental sciences. It introduces different aspects of basic experimental methods and instrumentation. The book is unique in its broad subject coverage, incorporating fundamental techniques as well as applications of modern molecular and proteomic tools that are the basis for state-of-the-art research. The text emphasizes techniques encountered both in practical classes and in high-throughput environments used in modern industry. As a further aid to students, the authors provide well-illustrated diagrams to explain the principles and theories behind the instruments described. "The proposed book is an excellent one for use of students, research scholars and teachers of life sciences, biotechnology, biochemistry, biophysics and other related disciplines where such books exclusively dedicated for life sciences are not available." 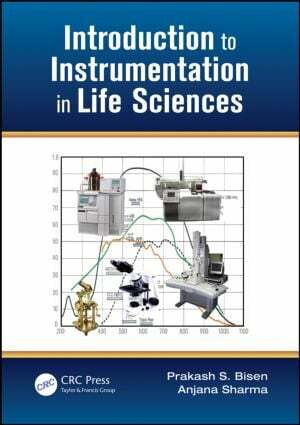 "A comprehensive text book on instrumentation methods which covers all major topics including practical exercises representing the syllabi of various postgraduate and undergraduate programmes in life sciences." "I find that the book should be much useful for undergraduate (bachelors degree) and graduate (masters degree) students. Very good book, properly arranged topics, will certainly be useful for the audience."